The skilled team of practitioners at the Centre for Soft Tissue Pain are eager to provide you with the relief you need from your physical pain. Serving clients throughout Alberta, we are proud of our talents, and hope you will take a moment to learn more about us below. When you’re ready to get started, just contact us today. Denny Paccagnan has been passionately practicing Hands-On Therapy at the Centre for Soft Tissue Pain for more than 23 years. As a result of Denny’s desire to learn, he has also become fully certified in Dr. Vodder’s system of Manual Lymph Drainage (MLD) and Combined Decongestive Therapy (CDT), and completed numerous myofascial release courses taught by John Barnes, and Masters Training Certification in Advanced Myofascial Release, instructed by Barry Jenings. His desire and enthusiasm to learn keeps him informed on the latest myofascial and lymphatic techniques. Denny is also a fully certified Biodynamic Craniosacral Therapist, completing a 9 week program in 2009 and 2010. As well as being well educated and highly trained, Denny has over 23,000 hours of “hands-on” therapeutic work experience with clients suffering from numerous musculoskeletal and lymphatic related problems. His philosophy is to help the body initiate its own innate natural healing response, which allows the injury or problem to heal itself. 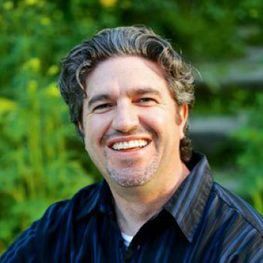 He utilizes many different styles of fascial, lymphatic, and biodynamic craniosacral therapy techniques, with most of them being very gentle and non-invasive. This method of treatment is ideal when treating patients whose nervous system is already overloaded and require a gentle, less invasive approach to healing. He has been teaching workshops on his gentle approach to myofascial release since 2010, and continues to write more courses with passion and enthusiasm. His unique philosophy is best utilized for those patients who require a firm, grounding, and gentle application to their healing. Denny is able to work extremely deep, without causing pain, bruising, or injurious side effects often experienced when receiving myofascial release therapy and other harsher therapies. Denny is a very calming therapist to be around, and his style of treatment has been described as one using intuitive intelligence behind his techniques, meaning he follows his intuition and combines it with all the education and experience he has received over the years. This combination has been shown to be very effective in successfully treating his patients. Outside of work, Denny loves to spend time with his family, and walk his dog daily. He enjoys the outdoors, camping, hiking, fishing, and chilling out anywhere near the mountains, lakes, and rivers that are so close to his home city of Calgary. In addition, Ruth’s natural ability as an intuitive energy healer enhances and increases the positive results her patients receive. 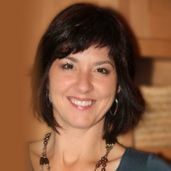 Ruth’s goal is to assist others in developing deeper awareness, presence and connections in their relationships with themselves and the world. She firmly supports empowering people to heal trauma and reprogram belief patterns. There is a student, teacher and master that reside in each of us. Ruth is excited to help us bring them out. 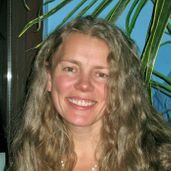 As a holistic practitioner Nadine is committed to the philosophy that: “Our bodies are made to heal themselves but often require a dynamic therapist to restore wellness and remind the body of its innate healing capabilities”. 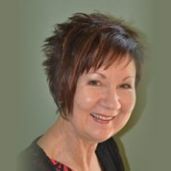 Nadine has honed her extensive knowledge of Massage Therapy and Structural Integration to become a source of healing and vitality for her diverse patients for over 20 years. Using (ATSI) Anatomy Trains Structural Integration, a type of bodywork which challenges the mind and body connection of patients, she is able to encourage permanent changes in posture and holding patterns. Nadine has a special interest in shoulder injuries and in pelvic dysfunction, and is also strong supporter of a team approach to patient care. She believes in the importance of educating her patients about their bodies and empowering them to make positive choices. Consistent referrals from current and past clients reflect her treatment success. Since graduating in 1996 from Calgary’s Foothills College of Massage Therapy, Nadine has continued to expand her knowledge of bodywork. She is passionate about incorporating (ATSI) Anatomy Trains Structural Integration and Myofascial Release techniques with Vacuum Therapies: a unique brand of bodywork using suction to shift, release, lift and soften stubborn tissue. Studying with Thomas Myers, John F. Barnes, Anita Shannon and many others has proved invaluable in enhancing Nadine’s range of therapy specialization for her international practice. Currently, Nadine’s focus lies in the (ATSI) Anatomy Trains Structural Integration series of twelve progressive appointments, the practice of ACE™ MediCupping and Myofascial Release Therapies. Nadine enjoys taking her skill and her positive, professional attitude abroad. If she is not working in her busy Calgary based clinic, she can be found studying in the United States, assisting international presenters or co-facilitating global retreats. Nadine is a Registered Massage Therapist (RMT), and is a Certified Structural IntegratorCM, a recognized member of IASI (International Association of Structural Integrators. For more information on Nadine and her retreats, please visit: www.nadinesamila.ca. Cardine attended a physiotherapy school in Germany, from which she graduated in 2008. Since then, she has been working in many different areas of physiotherapy, from all kinds of sports injuries and chronic pain to neurological diseases and lymphedema. Cardine’s focus is always on hands-on therapies, such as manual therapy, active release and myofascial release. She also practices several massage techniques, from Swedish/relaxation massage to deep tissue/therapeutic massage. Over many years of practicing in physiotherapy and massage therapy, Cardine developed an exceptional ability to identify the problem areas and combine different techniques to find the optimal and individual way to provide the most effective care to her clients. Cardine was also trained as a Certified Lymphedema Therapist in Germany. Cardine finds the effects of the lymphatic system stimulation incredibly fascinating, especially in regards to creating new vessels and finding a way to redirect the lymphatic flow. She is also very passionate about treating and educating clients with lymphedema, as it is a serious chronic disease and has the tendency to progress without manual lymphatic drainage. She is also a Manual Lymphatic Drainage and Decongestive Therapist. Since she moved to Canada in 2013, Cardine has been recognized as a Registered Massage Therapist with 3062 hours of practice and a Certified Lymphedema Therapist. She is in good standing with the RMTA (Remedial Massage Therapists Association in Alberta). 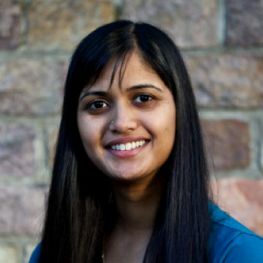 Cardine is very excited and passionate about using her qualifications and experience to provide the best individual care to her clients in Calgary. Saskia is currently on maternity leave and is unavailable for appointments. 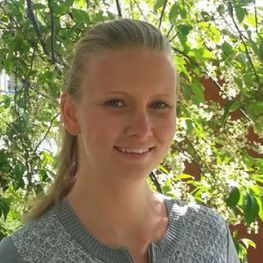 Saskia Mackay graduated from the 2200 hour program at CCMH-Foothill College of Massage Therapy in 2008. She has also completed various workshops including myofascial release therapy, craniosacral therapy, Shiatsu massage and visceral manipulation. She plans to further her practice and knowledge with continuing education in the years to come. The focus of her practice currently includes the treatment of chronic pain and stress related conditions. 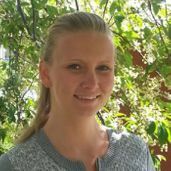 Saskia also provides pain relief and a feeling of well-being through Swedish or relaxation massage. She is able to tailor each treatment to a pressure level that is comfortable for her patients. Saskia is passionate about her field of practice and loves working with people. She is a caring and understanding individual with a commitment to positive patient outcomes. Saskia believes patient education and understanding are a fundamental part of ensuring each person reaches their optimum state of well-being. Saskia is a Registered Massage Therapist (RMT) and is a member of the Natural Health Practitioners of Canada (NHPC). She is very excited to be a part of the professional team at the Centre for Soft Tissue Pain Inc.
Steve has always been interested in helping people lead a healthy life. 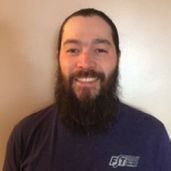 After 10 years teaching in the mountains, he made Calgary his home base and switched his focus to helping clients move better and assist the healing process after injury occurs. Since graduating from Mount Royal University in 2012 from a 2200 hour Massage Therapy program, he has worked towards applying his knowledge in a multitude of techniques; deep tissue, fascial decompression and fascial stretch therapy (FST). In 2016, Steve obtained the qualification of Level 3 Fascial Stretch Specialist - Medical and is excited to bring it to the clinic and help people heal better. As Steve continues to utilize FST in his practice, he is discovering that it is the missing link and acts as a bridge to compliment other therapies. Where a patient is ‘static’ or has reached a ‘plateau’, in a discipline or therapy, FST facilitates continual improvement. Our new therapist Eunice Mooney is a Registered Massage Therapist (RMT), Certified Lymphatic Therapist and personal fitness trainer and group fitness leader. Eunice’s fascination with human movement began in the 80’s when her love for music and fitness attracted her to participate in group fitness classes, then to become a group fitness instructor. Since then, she has continued to learn about health and fitness, acquiring a Eunique variety of skills. In 1991 Eunice became a Registered Massage Therapist and then studied kinesology by taking distance education classes from Simon Fraser University. Over the years, she has travelled to various centers across North America and abroad to study methods of body work that integrate the physical, mental, emotional and spiritual aspects of our lives. In 1993 she was fortunate to study manual lymph drainage and complex decongestive therapy from an Austrian expert who is the last living student of Dr. Vodder, one of the founders of the method. After rigorous study and exams, Eunice became one of the first three Certified Manual Lymph Drainage Therapists in Saskatchewan. She later learned BioSomatics movement therapy, body rolling and other forms of exercise which enables her to create home maintenance programs for her clients. The foremost thing that she learned is that all ways of exercise have their merit, but none are helpful if the body is not aligned first. She has developed her own Eunique protocol for alignment, treatment and maintenance. Eunice travelled to Arizona to study with John Barnes, a foremost leader in myofascial release. MRF combined with the St. John method of neuromuscular therapy quickly became her treatment of choice for clients with muscle pain and misalignments. In 2005 Eunice began studying Chi Nei Tsang, a method that detoxifies the body and trains internal organs to work more efficiently. She later travelled to Thailand to learn more from Mantak Chia, the person responsible for bringing these ancient Taoist monk ways of healing to the world. Eunice’s motto is “I’m not getting older, I’m getting better!” It is her goal to help all those who seek her services feel that way as well - The Eunique Way. No matter what a client comes to see me for, there is always a postural component to their treatment. Poor posture is not a cause; it is simply a symptom indicating over or under functioning of various bodily systems including musculoskeletal, endocrine and nervous. Hours sitting staring at screens, lack of exercise, poor functional biomechanics (movement patterns) all contribute to the symptom of poor posture, which may then lead to other symptoms such as lack of focus, headaches, chronic stress, swelling, digestive problems, visual disturbances and poor balance. Alignment assessments are crucial for me as a therapist, and also to each patient’s improvement. Focusing on the body as a whole is most important. The information gathered in the standing assessments provides the information for me to zero in on the source of the patient’s condition, which is often not the area of pain. Treating the pains/discomforts is simply chasing symptoms and although patients feel improvement after treatments, the pain soon returns when the cause is not understood. It is more important to find the root cause if the treatment is to be successful. After the alignment assessment is complete, treatment begins. Depending on the needs of the patient, I use a combination of various modalities that I have learned over two decades of practice, including myofascial release, manual lymphatic drainage, abdominal organ treatment (Chi Nei Tsang), vacuum therapy, kinesio taping and more. It is important for patients to understand the reasons for their symptoms and make improvements between therapy sessions. I stress to all patients that there is no magic cure or therapy. If they simply go back to the old ways that created the issues, they will return to their previous state. Understanding the force of gravity and how to use it is crucial to our health. That is why I provide education regarding alignment and “homework” methods for creating new movement patterns. Much of the improvement is about retraining the brain.